Here are some common questions that students ask about staying in homestay. 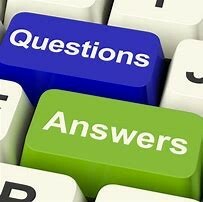 If you have any other questions, please contact call us on (07) 5554 5656 or email us. A “homestay” is a type of accommodation for students/guests from another country staying with a local family (host) whilst they are studying abroad. Homestay is a popular option for students who need a safe, economical and convenient place to stay. Students can adjust quicker in a new environment with the friendly support offered by host families. They have the opportunity to make new friends, practice their English and learn Australian culture first hand by participating in the daily routine of the host family’s life. Homestay is a good option for students who need short term accommodation for a minimum period of 4 weeks. You can take time to look for suitable permanent accommodation when you get here without having to worry about meals or signing a long term lease that you are not sure about. Without the financial and legal risks, you can concentrate on your primary focus – your study. What kind of housing is available in a Homestay? The type of home varies from host to host. While some hosts live in houses, others live in apartments, townhouses, villas or on acreage properties. Do students and guests who stay in Homestay learn the language faster? True, students and guests will be in contact with the host family members speaking in English and will benefit from learning the language quicker and with confidence. A standard bedroom for hosting a student consist of a well ventilated room, a bed and bed linen, a desk, table light, chair and storage for clothing. Extra items may include a ceiling fan, air-conditioning or a pedestal fan. Electricity, gas and water costs are included in your weekly homestay payment to the host family. Yes internet is included, please be respectful with usage or extra charges may be payable to your host families. It depends on the number of bathrooms in the home and if there is more than one student in the home. Most often students will share the bathroom with other students or the host family members. Private bathrooms can be requested (based on availability and not guaranteed). Standard application is without transport but can be included if student has requested for this option upon application. If you require your hosts to provide transportation daily to and from place of study there will be an additional weekly transport fee on top of the weekly homestay rate. Will there be any other students in the Homestay? There may be other students in the home if there is more than one bedroom for hosting students. Do I have to get and pay for all the meals? Students can choose from three (3) types of homestay meal packages for the duration of their stay. (a) Full Board Package (3 meals a day: breakfast, lunch and dinner daily). (b) Half Board 5/2 Package (2 meals: Mon-Fri, breakfast and dinner, 3 meals: Sat-Sun, breakfast, lunch and dinner). (c) Half Board (2 meals a day: breakfast & dinner daily). Students will need to supply their own snacks (fruits, biscuits, potato crisps, etc) for between meals, extra drinks, etc. When I request meals, does the family cook for me all the time? Usually your hosts will cook and prepare all your meals for you. Many Australian family members prepare their own breakfast, please help yourself to breakfast if your host family does this. For example: toast, cereal, juice, fruit, yoghurt, etc. On weekends, some host families will provide a hot breakfast. If it is a special occasion or for a treat, your host family may go out to eat or bring home takeaway meals such as pizzas, fish and chips, Chinese, etc. Can I request to increase the number of meals or decrease them after the first month? Students can request to change the number of meals after their first month or at the start of their next 4 weeks. Certainly. Most host families will allow you to prepare or cook your own food. Check with your host family first to get permission to use the kitchen and they will show you how to operate certain appliances or equipments and where kitchen utensils are kept. Take time to understand about food hygiene and safety requirements. Remember to clean and tidy up after you have prepared your food (your hosts will appreciate it). What is the Self Catering – No Meals Room Only Package? Self-catering package is a room only rate and it means there are no meals provided by your host family. You will need to buy groceries and prepare your own meals, clean and tidy up after use of kitchen & bathroom, empty your own rubbish, do your own laundry, etc. May I request a specific Homestay? Yes, you can choose to stay in a homestay that is recommended to you. If they are a registered host family with Eastern Shores International, we will contact them and check their availability. Do I have to accept a homestay or can I request another option? It would depend on availability of homestays we have that match your requirements and if they have a vacancy. You have the option to choose to accept our first offer or request for the next available homestay. Will I receive a key to the house to come in out? Often your host family will provide you with a house key and if so you will be held responsible for its safe keeping and or reimburse the cost of another key to be made should you lose it. Certainly, please ask your host family. Will I be able to access the Internet in my homestay? Yes. In Australia, Internet cost is expensive and many homestays that have internet access for students may charge for the service. This is a small contribution (AUD$10 per week) to offset the costs. Students are discouraged from conducting illegal downloads of movies, music, etc. as this activity may result in slower internet access and higher costs which will be passed on to the student. On arrival to the homestay, your hosts will discuss with you upfront any internet cost and the usage/restrictions that apply. Can I use the host family’s telephone? You must ask your host’s permission to use the home phone. You will be expected to pay for all telephone calls that you make from the home phone. Suggest you buy an International Calling Card that can be used to help you make discounted International calls. May I use the family computer? You must ask your host’s permission to use the home computer. Do not open any file attachments or junk mail that may put your host’s computer at risk. Your host may not have the proper protection on his or her computer and may lose a lot of important files. Kindly ask your host when it is a good time and how long you need to use the computer to avoid causing inconveniences to your hosts as they may have some regular work to do. Hosts are not required to offer a computer; therefore, we urge you to be careful or best bring your laptop with you. Smoking may be allowed at some homestay accommodations, if it is allowed there will be restrictions as to where you can smoke in the home. On your application, if you advise us you are a smoker we will match a homestay family that accepts smokers. a ban on smoking in cars where children under the age of 16 years are present. Can I do laundry in the Homestay? Ask your host if you can use the laundry room and your host family will show you how to use the washing machine and where to hang your washing to dry. Will I be able to go shopping? Yes, your host family will show you how to go shopping after arrival, or you let your host know you would like to join them the next time they go out shopping. It could save you time, effort, money to accompany your host. Most hosts know where to buy things cheap or assist you where to go to get the best price for a particular item you are looking for. Will I be able to go sightseeing with my host? Yes but only if you are asked and or when your host family have free time, usually on the weekends. Be prepared to ask if there is any upfront cost, you will need to pay for your own admission ticket to an attraction or theme park. Also, if you do trips with your host family be prepared to pay for your own flights, share cost of transport and bring spending money. Please inquire with your host in advance about such costs beforehand. You do not have a curfew. However, it is customary that you tell your host family if you will miss dinner or will return to the house after midnight. Hosts usually worry about their guests and students if all of a sudden they do not come back home as usual. Can I have a guest come to my Homestay? You must ask your host family’s permission before making arrangements to bring a friend/guest home. Can I stay at a friend’s house during my visit? Yes but inform your host family where you will be and for how long. It is common courtesy to let your host family know if you will not be home for dinner or staying out till late/overnight. Yes please state you want airport transfer to homestay on your application and complete your flight details. Do you provide airport drop off? Yes please advise us if want transfer from homestay to airport and advise us your departure flight details. What is a “List of House Rules”? House Rules are the rules of the particular host family with whom you are staying. These rules may include requests by your host to lock the doors of the home when you leave, turn off the lights of your room or bathroom before you leave, or avoid receiving phone calls after a certain time at night. These rules usually apply to members of the family and guests. Homestays that accommodate more than one student at once find it easy to make such a list and leave it in the guestroom. You will find the application form online in this website. Once we receive a completed Application Form, we can commence the Homestay Booking Process and send through your homestay invoice for payment. Is the Accommodation Placement Fee refundable? The Placement Fee is only refundable if you postpone or cancel your accommodation booking more than two (2) weeks before your arrival, however you will be charged $100 to cover administration costs but your Accommodation Placement Fee, Weekly Homestay Fees and Airport Transfer Cost will be refunded. Is there a deadline for submitting the application? No. We accept applications at all times. Kindly allow a minimum of two to four weeks for best results. Yes please. You may certainly apply anytime up to a year in advance. We prefer early applications and we give them good priority in terms of options and availability. Early applications allow us to source the best homestay family suitable for you but if you have just found out about us, we still would love to assist you. How much are the homestay fees? The homestay fees vary according to number of meals required. Please refer to the application form under section Packages, Booking & Payment. Is it possible to bring a relative or a friend “as a companion” to stay with me? Yes please advise us at time of your application and we can tailor a homestay package for twin share accommodation. We will require information about your companion on a separate application. Please make notes in the comments and special requests section of both applications regarding your companion’s request. Such as booking in the same homestay and sharing a room together or wanting separate rooms. How long does it take before I get to know information about my host? It all depends on when you are arriving, your requirements, availability of homestay, and that we have received your homestay booking fees. There is no estimated time, but it could be right away. How much must I pay in advance to book the homestay? Initial four (4) weeks booking is payable to secure your homestay booking. Total includes the accommodation placement fee, 4 weeks homestay package, airport transfer if required, and bank fees if payment by overseas telegraphic transfer or credit card. When I request airport pick up, how do I know who will meet me at the airport? At completion of your homestay placement, we will email to your airport transfer booking confirmation with pick up instructions. If I were to book a flight ticket now, which days or time are ideal to arrive at the host family? It is best to consider arriving in the afternoons and evenings, or anytime all day on Saturday and Sunday. Avoid late night arrival if you can, but most host families are accommodating if you experience delays. If you are booking airport transfer to your homestay some carriers will apply additional after hours fee for flights arriving between the hours 9:30pm-4:30am. What if I experience delays from the airline or miss my flight? Please contact the telephone numbers listed on your airport transfer confirmation booking immediately to report the delay and or flight cancellation and to advise the next scheduled flight out.